The Vector CardSafe prevents the buckling and damage of cables inserted in the CANcardXL and CANcardXLe. Time synchronization of multiple CANcardXL/XLe among each or with other Vector network interfaces. A powerful user-friendly hardware interface is necessary to acquire analog and digital signals in automotive networks. 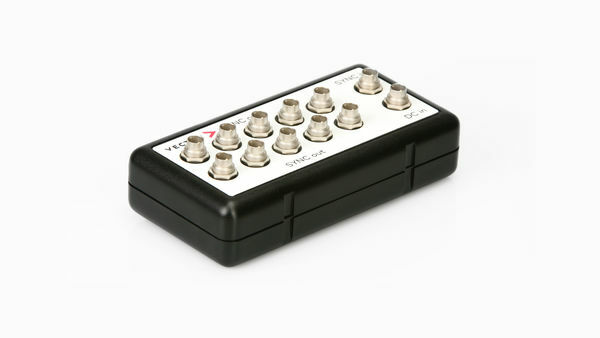 In its well-known compact CANcab package the IOcab 8444opto is the ideal product for the CANcardXL or CANcardXLe with notebooks or desktop computers. Detailed information is available in the data sheet.